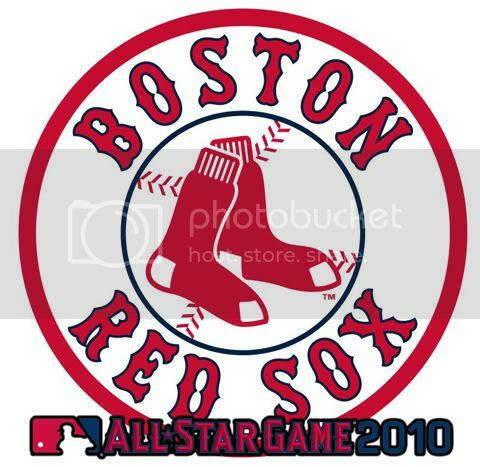 The Boston Red Sox had six players selected to play for the American League in the 2010 Major League Baseball All-Star Game, which will take place on Tuesday, July 13 at Angel Stadium in Anaheim, CA. Third baseman Adrian Beltre, right-handed pitcher Clay Buchholz, left-handed pitcher Jon Lester, catcher Victor Martinez, second baseman Dustin Pedroia and designated hitter David Ortiz were all elected by the Player Ballot – a vote of the players, managers and coaches. In addition, first baseman Kevin Youkilis can be selected as the final player on the American League’s 34-man roster via the 2010 All-Star Game Final Vote Sponsored by Sprint. The complete American and National League teams were announced today by Major League Baseball. This marks the fourth straight year the Red Sox had at least six players selected, including six in 2007, seven in 2008 and six in 2009. The Yankees are the only other team with six All-Stars selected today. For Beltre, this is the first All-Star selection of his 13-year Major League career. He ranks third in the Majors with a .341 average (102-for-299) and is tied for the lead among American League third basemen with 12 home runs. The 31 year-old is also among American League leaders in multi-hit games (4th, 31), hits (5th, 102), RBI (T-11th, 53) and total bases (8th, 163). This is also the first All-Star selection for Buchholz, who ranks second in the American League with a 2.45 ERA (25 ER/92.0 IP) and tied for second in the circuit with 10 wins. The right-hander also leads the AL with both a 2.00 ERA (18 ER/81.0 IP) at night and a 1.70 ERA (8 ER/42.1 IP) on the road. Lester is also garnering his first All-Star Game selection. The 26-year-old left-hander has held opponents to an American League-best .204 batting average (83-for-406) and also ranks among league leaders in strikeouts (2nd, 118), wins (T-2nd, 10), innings pitched (T-3rd, 114.0), winning percentage (T-4th, .769) and ERA (5th, 2.76). Martinez, 31, has previously been named to the American League All-Star team three times, representing the Cleveland Indians in 2004 at Houston, 2007 at San Francisco and last year in St. Louis. The switch-hitter was leading the Majors with a .431 average against left-handers (31-for-72) and was hitting .371 (39-for-105) overall in his last 30 games beginning May 19 before landing on the disabled list on June 29 (retroactive to June 28) with a left thumb fracture. Pedroia, 26, was voted the AL’s starting second baseman for each of the last two All-Star Games but did not attend last year in St. Louis due to a family matter. Placed on the disabled list on June 26 due to a fracture of the navicular bone in his left foot, Pedroia was tied for the American League lead with 24 doubles and also ranked among AL leaders in runs (T-4th, 52), total bases (8th, 148) and extra-base hits (T-5th, 37) at the time of his injury. Since Martinez and Pedroia are both on the DL and will be unable to play in the All-Star Game, they have been replaced by the next highest ranking players at their respective positions on the Player Ballot, catcher John Buck of the Blue Jays and second baseman Ian Kinsler of the Rangers, on the active A.L. roster. For Ortiz, 34, this is his sixth career All-Star nod, all as a member of the Red Sox. He was selected to five consecutive All-Star games from 2004-08 and was elected to start in four straight Mid-Summer Classics from 2005-07. This marks his third selection as a designated hitter (also 2005, 2008), having been tabbed as a first baseman in 2004, 2006 and 2007. Ortiz ranks third among qualifying Major Leaguers in both home run ratio (13.41 AB/HR) and RBI ratio (4.22 AB/RBI) and also ranks among American League leaders in homers (T-7th, 17), slugging percentage (7th, .566) and RBI (T-8th, 54). Youkilis has appeared in each of the last two All-Star Games, starting at first base in 2008 and serving as a reserve at that position in 2009. He leads the Major Leagues with 64 runs scored and also ranks among American League leaders in on-base percentage (3rd, .415), walks (T-3rd, 49), slugging percentage (4th, .576), times on base (T-5th, 137), extra-base hits (T-6th, 39) and total bases (9th, 156). Fans can now begin voting to select the final player via the 2010 All-Star Game Final Vote Sponsored by Sprint, casting their votes exclusively online at MLB.com over a four-day period. The winners will be announced after the voting concludes on Thursday, July 8th. Now in its sixth year, fans again will be able to make their Final Vote selections on their mobile phones, exclusive to Sprint, Nextel and Boost subscribers. Fans can send the word “Vote” to 1122 to receive the 2010 All-Star Game Final Vote Sponsored by Sprint ballot. Standard text rates apply. Red Sox players have won the AL Final Vote in 2002 (Johnny Damon), 2003 (Jason Varitek) and 2007 (Hideki Okajima), most of any team since the vote was instituted in 2002.